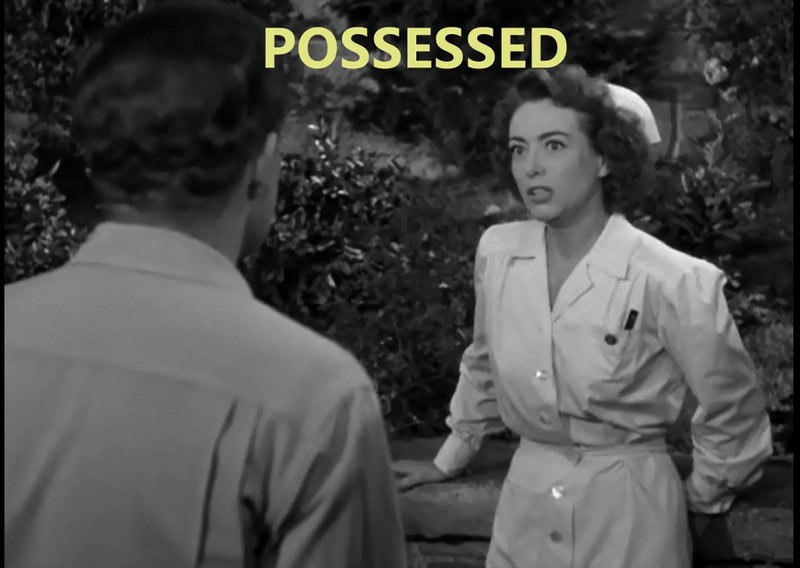 Hit me with your best shot continues this week with the Joan Crawford starrer "Possessed". The film is aptly named because Crawford’s character (Louise) is consumed by her infatuation for David Sutton (played by Van Heflin) . Her obsession drives her to paranoia and results in unfounded guilt, jealousy and hallucinations. In other words, that b**** was crazy! The film definitely has great camerawork, but it has a certain fluid quality that doesn’t easily lend itself to creating memorable still images. 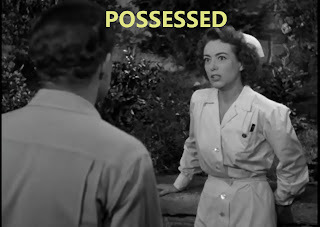 The main takeaway from this film is Crawford’s performance. She was the perfect choice for the role and her Oscar nomination was well-deserved. Hence, my favourite shot focuses on her. My favourite shot comes from the scene where Crawford begins hallucinating and starts to realize that she might be losing her mind. 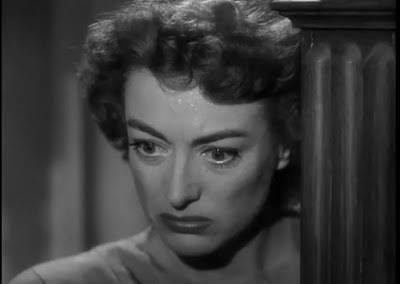 Crawford can change her facial expression at the drop of a hat and this film allowed her to show this talent. In this shot, she thinks she has just committed a crime. I love how the camera captures the beads of sweat on her forehead as she is really going through some stressful times. In addition, I think it conveys her powerful ability to project inner feelings and emotions with her eyes and mouth.